January is a tricky time of year, and while we were all struggling to get back into the swing of things after the Christmas break, Valve Anti-Cheat (VAC) was hard at work. In fact, it worked so hard that last month, the AI-driven service banned more than one million players from the platform. That info comes from SteamDB, which has been tracking the number of bans issued across the platform for many years (for the record, the grand total currently sits at somewhere around 26 million). While game bans – those issued by Valve on behalf of a third-party developer – have been pretty high since a dramatic spike in late 2017, VAC ban numbers have been far lower. Until recently. As of November 2018, the highest number of VAC bans in a single month was 192,000, but in December, that number more than tripled, topping 600,000. It continued to rise last month, peaking at 1.03 million, beating out game bans for the first time since September 2017. The dramatic spike in VAC bans just so happens to follow the developer’s decision to make Counter-Strike: Global Offensive free-to-play towards the end of last year. The influx of new players that encouraged is pretty impressive, but no price-tag means that cheaters are far more prevalent, especially for players with low trust factors. 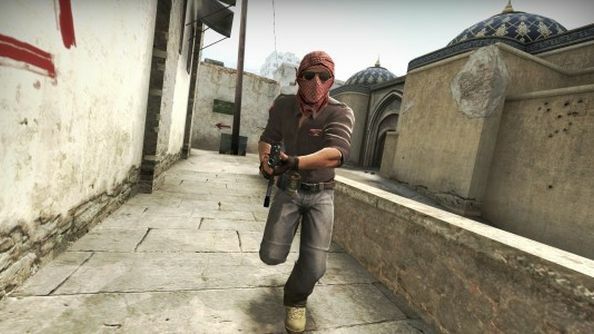 VAC targets cheaters in more than 300 games, but CS:GO is one of the AI service’s flagship titles. Some rumours suggest that Valve chose to make the first-person shooter free-to-play in order to help VAC’s machine-learning algorithms, as the system doesn’t account for hardware bans, but I’d take those suggestions with a pretty massive pinch of salt.